It doesn’t matter your demographic, location or driving history - you probably think you’re paying too much for auto insurance. Although you can reduce your auto insurance rates by comparison shopping, you can also take steps to make yourself a more appealing client to allinsurers. Increasing your auto insurance deductible is one option for lowering your premiums, but that puts you at risk of incurring a larger expense in the event of a claim. Here are five safety tips that can reduce your auto insurance premiums without exposing you to greater financial risk. Auto insurance companies usually offer reduced premiums for drivers who have completed driver’s education training. Options include the driver’s education classes that teenagers are encouraged to take before getting their license, as well as more advanced classes, like a defensive driving course. In some provinces, having winter tires is mandatory. If you live in a province that doesn’t legally obligate you to change your tires in winter (Alberta, for example), making the change voluntarily may decrease your auto insurance premiums. Aside from the potential for lower insurance rates, you’ll also be safer on the road, thanks to the quick-stopping action of tires made especially for the snowy and icy conditions of a Canadian winter. 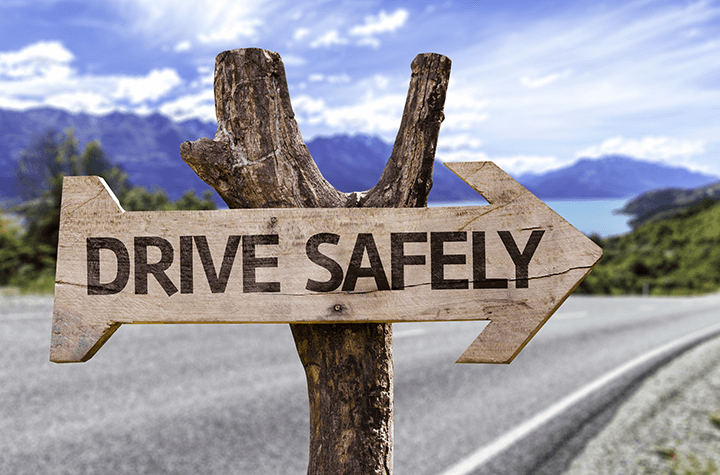 If you’re in the market for a new car, think about getting one with a good safety record. Although buying a sporty or vintage car may seem worth the initial expense, choosing a car that is easily damaged – or one that is very expensive to repair – can lead to higher long-term costs as well. Choosing a vehicle with safety features and a track-record of strong durability will lead to savings. Devices that protect your vehicle from theft can lower your premiums. It’s not so popular anymore, but devices like The Club make it nearly impossible for someone to steal your vehicle. More modern anti-theft devices include alarms that sound when someone tries to break into your vehicle, or electronic immobilizers that stop the car from turning on without a key. Some companies will offer you discounts for having a good driving record. For example, if you go five years without making a claim, your insurer may reduce your premiums as a reward. Furthermore, receiving a citation for speeding or another infraction will probably lead to an increase to your premiums. By avoiding tickets (and accidents) you will net yourself some savings. Although comparison shopping is still one of the best ways to lower your auto insurance rate, these five tips will help you get a discount from your current provider, or receive lower quotes when you play the market. And if that’s not tempting enough, they will also help you keep your vehicles and its passengers safe.